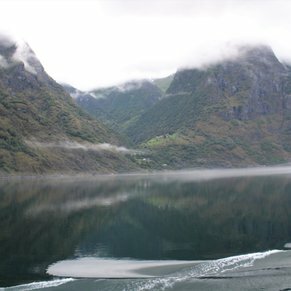 One of the highlights of the fjordland, tiny Hellesylt lies at the head of Sunnylvenfjord. Near the village, a glacier-fed stream plunges over the sheer granite face of the fjord, cascading in thousands of feet of rainbows and foam. This majestic area, with its breathtaking glaciers and mountain lakes, inspired Henrik Ibsen's immortal drama, Brand. We did the Mountain Farm visit. Expectations were not high. What a surprise. Most gorgeous landscapes you could ever wish for. Felt like we had been dropped into a Lord of the Rings set. 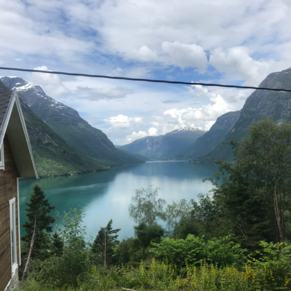 If you want to experience the Norway nature and see the fjords, the Overland tour from Hellesylt to Geiranger is the way to do it. It’s fantastic. The highlight of the whole cruise. You get to see Norway from the inside and not just from a dock. Lakes, valleys, mountains, fjords.... unbelievable. It was the most expensive tour, but it was worth every penny. The best pictures and memories of the cruise come from this tour. Highly recommend. Did not get off ship here.....was a drop off for full day excursions ending in Geiranger. The scenery---waterfalls, mountains, fjords were spectacular!!! 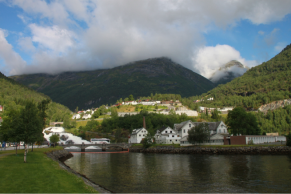 The tour that includes the whole day and delivers you to Geiranger at the end of day was the best tour on the trip. 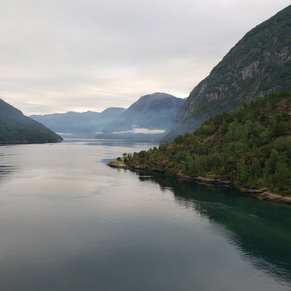 Hair pin turns and lookout points that were beautiful in the fjords. There are currently 0 discussions about Hellesylt, Norway.